South African Airways is the main airline serving southern Africa. 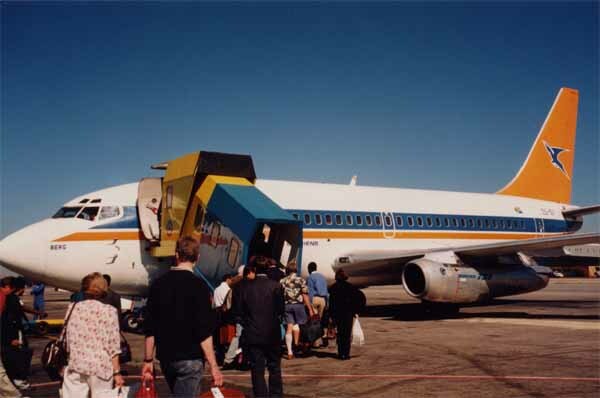 This Boeing 737 jet is flying from Johannesburg in South Africa to Victoria Falls town in Zimbabwe. The flight time is about two hours.